15 years, 7 main titles, countless spin offs and an adoring fan base, and it’s comes down to this. The final outing of one of gaming’s most under-appreciated characters, Kazuma Kiryu, is finally upon us. It’s been difficult to try and not jump on the hype train with reckless abandon. When the announcement that The Song of Life would be getting localised came around, I had only just finished Yakuza 0 and had fallen head over heels with the series and its beloved characters, settings and unique charm. It’s a video game franchise that pulls no punches on the drama and suspense, yet doesn’t shy away from the bizarre quirkiness that can only be described as “classic Japan”. The Song of Life is no exception to that. Set 3 years removed after the events of Yakuza 5, Kazuma Kiryu is released from prison to find that his adoptive daughter Haruka has fled the orphanage they own, forcing him back onto the familiar streets of Kamurocho to find answers, but those who have played a Yakuza game will know trouble follows Kazuma like a bad case of diarrhea. He is further sucked into the Tojo Clan’s most recent gang whilst trying to solve the mystery surrounding Haruka’s baby boy. This journey takes Kazuma around Tokyo and Hiroshima to not only find answers, but to also befriend a ragtag bunch of loveable Yakuza losers led by Takeshi Kitano. Sure he played a character, but to Japanese film buffs or to anyone that have ever seen an episode of Takeshi’s Castle, he’s Takeshi Kitano. Whilst the main plot is your typical noir tale with drama and suspense around every corner, the real highlights are the new characters such as Yuta Usami and Tsuyoshi Nagumo, who provide a healthy balance of comic relief in the narrative without outstaying their welcome. The chemistry between these two lovable fools and Kazuma is unique and engaging, and it almost feels like the torch is being passed from Kiryu to Yuta and Tsuyoshi. The narrative also touches upon themes of parenthood, bonding and responsibility which makes for an interesting but effective mix. With the franchise being 12 years old, most fans who remember the first game for PS2 have probably grown up and possibly even started some families of their own, so it’s lovely to see the franchise grow and mature with its audience. . The overall presentation of The Song of Life is visually wonderful. With Yakuza 0 being a PS3 port and Yakuza Kiwami being a HD revamp of a PS2 game, neither game could really flex the muscles that the PS4 is capable of. Yakuza 6 has no such restrictions, and it does not disappoint. Every neon light, every spec of blood, every little fiber on Kazuma’s white jacket looks painstakingly crafted. The streets, while grimey, have enough life and soul to completely immerse yourself as you wander the streets looking for the next side mission or simply to take part in one of the many activities The Song of Life has to offer. Yakuza 6 appears to be making a conscious effort to make things more ‘streamlined’. The inner guts and mechanics have been polished to make mission objectives, levelling up and working on your clan/gang less cumbersome compared to previous installments. Everything previously mentioned can be accessed with your trusty smartphone, along with upgrades, mission objectives and an app for quick and easy EXP points, Troublr. We’ll get to that. Compared to previous games this is a welcome mechanic, as it does away with the long menus of old. However, we can’t talk about a Yakuza game without its fighting mechanics and it’s over the top arcadey action. That is the main gameplay focus, after all. Yakuza 6 eschews the multiple fighting style of Yakuza 0 and Kiwami, instead focusing on one style that can be continually upgraded. Along with your bread and butter combos, there’s also your special moves and all of them are available in the extreme heat mode. With the press of R2, Kazuma will unleash holy hell on his foes, showcasing some the brutality that the series is known for. Combine them with finding weapons on the street, as well as upgrading skills in disarming enemies, and Kazuma becomes an unstoppable machine. Providing you put in enough time, there shouldn’t be any reason why you couldn’t get most, if not all skills in brawling by the end of the first half of the game. There’s plenty of options to level up, including fighting, side quests and joining the gym. Again, this approach to fighting makes things more streamlined, but it’s hard not to miss the multiple styles of fighting. There was a genuine aura of fun when you could change between brawler and rush mode that helped break up the monotony of fighting countless enemies. Sticking to one style is all well and good, but it did make fighting a little more of a grind. With a game that encourages you to fight and level up, the agony of choice is a must. This was my only huge bugbear with The Song of Life, the one element that kept you coming back for more was the fighting and though there are options, let’s be blunt; you’re going to be mashing the same 3 or 4 combos and finding your favorite weapon again and again. As previously mentioned it does make the action side of the game a bit boring and it’s a shame. It doesn’t handicap the game entirely, but you may long for the days where you could mix up your fighting styles. One of the more impressive features to The Song of Life is how the open world has also done away with a lot of loading screens. Gone are the days where you would enter a building and wait several precious seconds for the next area to load. The Song of Life’s hub is now one big playground for you to indulge, making the world of Yakuza just that little more immersive, further bolstering its streamlined assets in a big way. And in true Yakuza fashion, the open world is pack with content. The Song of Life is loaded with side quests and activities that are either a vast upgrade from previous installments or something new entirely. This did make me concerned as with the games lofty ambitions, I did wonder if this was going to buckle under its own weight, for the most part, it didn’t, but there’s the key term there – for the most part. Eating at restaurants is still a must, if not more important as you have a hunger meter that goes down the more fights you get into. Of course there are the usual Kamurocho haunts, karaoke, popping into Club SEGA for a game of Super Hang-On and it wouldn’t be a Yakuza game if you couldn’t spend a boatload of yen trying to chat up hostesses at Club Shine. But there are new activities and features designed to further distract you from the suspenseful story action. Some parts of the main story see you holding Haruka’s baby boy and utilising the PS4’s motion control system. You always wonder why video game companies never utilize the motion software in PS4 controllers as this is one of the more random if not funnier uses of the software. Any parent PS4 owners should be warned, you’re not escaping from your parental duties anytime soon. There’s an interesting mini game/side plot involving frequently visiting a bar in Hiroshima and chatting to the locals and helping them with their problems, using the correct dialogue options and building their friendship meter over the course of the game. It’s a random addition, and almost feels like the developers binged watched ‘Cheers’ and thought to include that into the game, but it’s harmless and you end up wanting to carry on helping your new friends with their pedestrian non-crime related woes. Sometimes, you just want to go where everybody knows your name. Another side storyline also include befriending a loser baseball team and training them up to be the best in a mighty ducks style adventure. I couldn’t quite work out the baseball mechanics if I have to be honest. The games play normally and sometimes you’re asked to bat and score points in a similar vein to the batting cage mini games, it’s fun to witness the side storyline but you can easily ignore the actual games of baseball, providing your batting skills are good enough to win each game. By this point I had to ask, was there anything A Song of Life wasn’t going to include? Between entertaining babies, adopting cats to save them for a kitty cafe and internet chat dating (don’t ask), Yakuza 6 is packed with diversions.. The Song of Life doesn’t just throw in the kitchen sink, it’s currently chatting to a home renovation TV show to start bulldozing your house. Yakuza is no longer an over the top arcade adventure, but has evolved into an over the top adult life simulator, which is arguably better than your waking life. There are two other features that I would also like to address. As previously mentioned there’s the ‘Troublr’ app on your phone where throughout the game you’re greeted with texts about petty crime going around your area and you can don your inner Batman to stop their evil deeds. Though this did help top up a few EXP points, after unlocking the trophy, I found this feature to be pretty much useless and ignored it. The other feature is the clan primer – a side storyline where you build up a clan and take on a vigilante group gone mad with power called ‘JUSTIS’ which is ran by celebrity cameos that eagled eyed New Japan Pro Wrestling fans will appreciate and cherish. I’m not a fan of the RTS genre, but for the sake of this review I dove into this feature and it’s ok. I won’t say it was as deep as a Command & Conquer game, but it isn’t offensive to play. Was there really any point in this mechanic? In my personal opinion, except for the side plot involving NJPW wrestlers, it would have been better to just scrap this idea and just have a mechanic where you could play in a small team with a giant battlefield, giving your clan instructions using the D-Pad. It would have been more fun, more relevant to the arcade style and it wouldn’t stick out like a sore thumb. Despite those flaws, I loved A Song of Life. Its narrative of parenthood, action and drama is an interesting mix, but one that pays off. That’s if you can drag yourself away from the Virtua Fighter 5 machine at Club SEGA. 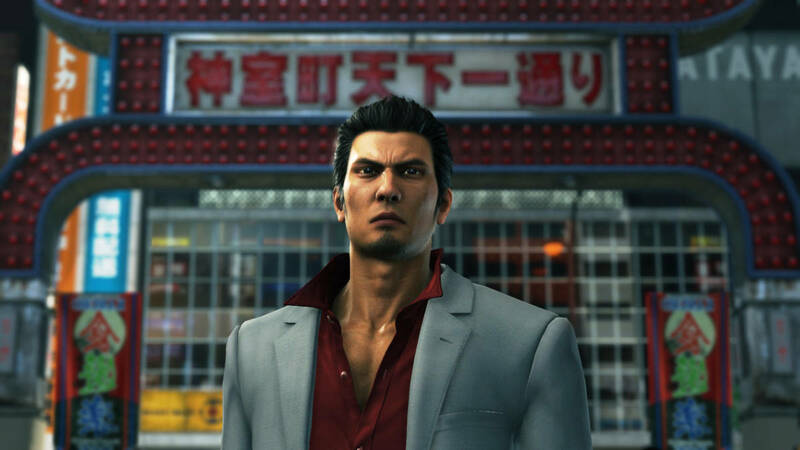 Whether we see Kazuma Kiryu again as a side character is an interesting debate, but SEGA have continued to prove that a game with some tender love and care is going to have fans flock to the franchise and lavish praise upon it. If you are looking to get into the franchise, perhaps seek out Yakuza 0 and Kiwami first, but older fans should rest well in the knowledge that while the Dragon of Dojima is indeed riding out, the franchise future is as bright as the fire he possesses. A dramatic but fitting send off for one of SEGA’s most legendary characters. Despite its flaws and kitchen sink dynamics, Yakuza 6 is a must for any PS4 player’s collection.Microtransactions: You buy DLC Clan characters, but that's about it.